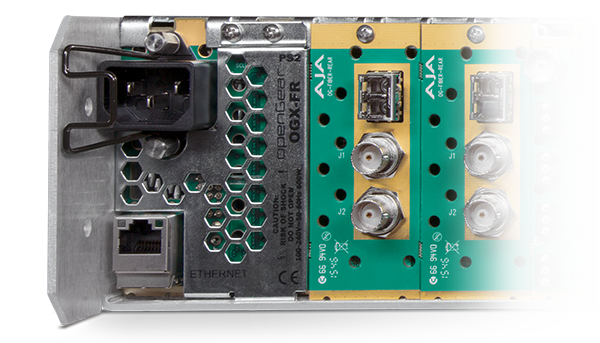 openGear is an open-architecture, modular frame system designed by Ross Video and supported by a diverse range of terminal equipment manufacturers, including AJA. 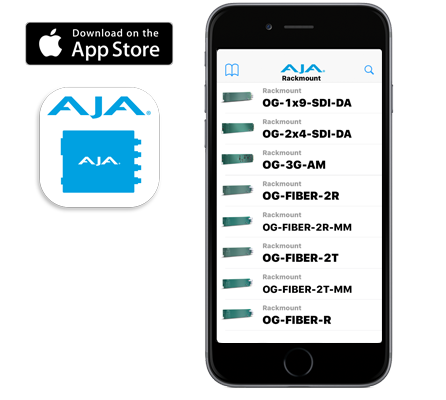 The AJA OG-X-FR is a 2RU high openGear frame which is compatible with any openGear card and offers Dashboard support for the latest AJA Dashboard compatible openGear cards. The frame has a 20-slot capacity with excellent cooling capabilities for high-density applications and compatibility with advanced openGear connectivity options for supported cards. One control system unites all openGear suppliers: DashBoard for setup, real-time control, monitoring, and tools for creating customized workflow through CustomPanels. The optional Advanced Networking controller from ROSS features DataSafe, which automatically saves and restores settings if a module is swapped. While many of AJA’s openGear cards are energy-efficient, the high-density nature of rackmount cards can generate heat in a small space. Integrated fans in the OG-X-FR keep internal components operating at acceptable temperatures, leading to improved reliability and longer card life. OG-X-FR offers more power and cooling for the most demanding UltraHD, 12G SDI & IP workloads. 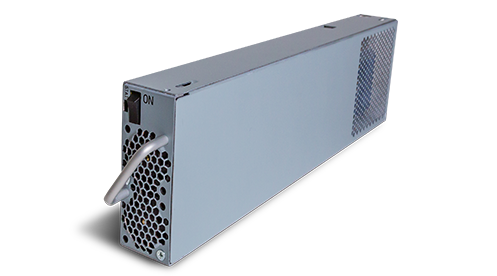 OG-X-FR accommodates 2 front-loaded, hot-swappable power supplies. Each power supply contains an independent cooling fan, status LED, and a front mounted power switch. OG-X-FR ships with a power supply included. When seeking redundancy for extra security in critical environments, order an additional OG-X-PS from your reseller. A fold-down front panel provides you quick access to any of the installed cards for easy maintenance or replacement without having to remove the rack frame or climb behind the rack.